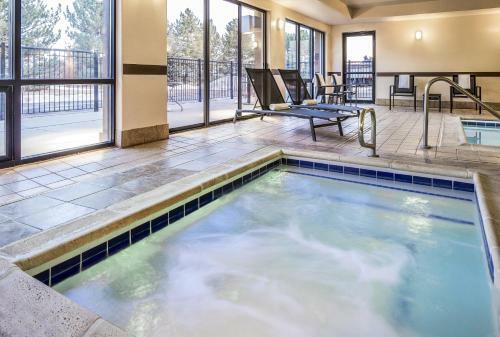 Adjacent to the Outlets of Loveland shopping center and situated at the gateway to Rocky Mountain National Park, this hotel offers a free daily breakfast and in-room microwaves and refrigerators. Every stay at the Hampton Inn Loveland is sure to be pleasant with thoughtful amenities such as free wireless internet access and modern fitness facilities. 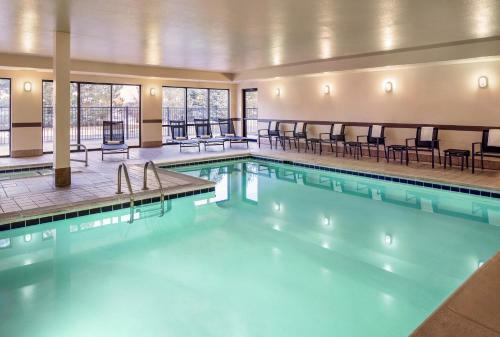 Guests can also relax in the indoor pool or enjoy of cup of coffee from in-room coffeemakers Benson Sculpture Park, Boyd Lake State Park and Colorado State University can all be found only a short distance from the Loveland Hampton Inn. A variety of local shopping centers and restaurants are also easily accessible in the downtown area. the hotel Hampton Inn Loveland so we can give you detailed rates for the rooms in the desired period.